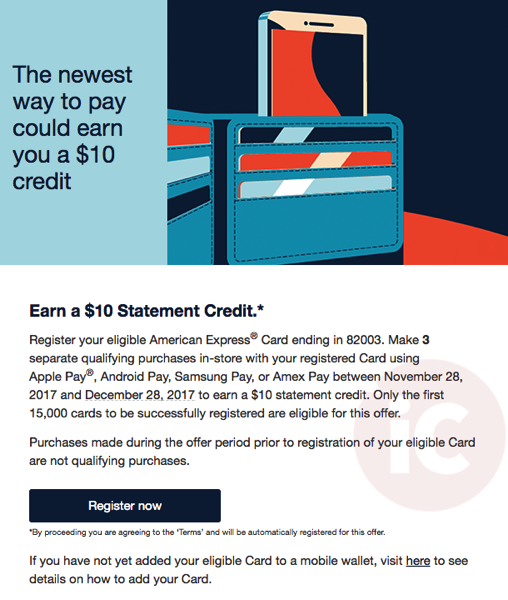 American Express is holding a promotion offering $10 statement credit to cardholders, if they use Apple Pay (or Android Pay, Samsung Pay) for three separate in-store transactions, from November 28 to December 28, 2017. 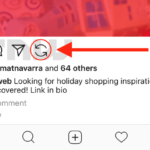 In order to qualify for the promo, you need to register for it. Amex says only the first 15,000 cards successfully registered will be eligible for the offer. Your statement credit may take up to two billing cycles to appear, and up to 90 days to be credited to your account, says Amex. This appears to be a targeted promo, so check your email inbox. We’re hearing SPG, Simplycash and Cobalt cards have received this email. Let us know if you got it too.